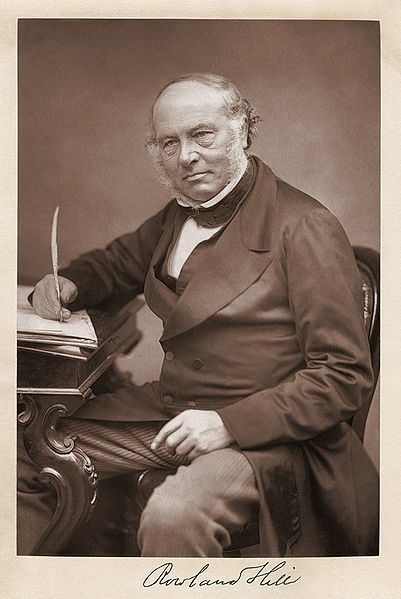 Today is the birthday (1795) of Sir Rowland Hill KCB, FRS, English teacher, inventor, and social reformer. He campaigned for a comprehensive reform of the postal system, based on the concept of Uniform Penny Post and his solution of prepayment, facilitating the safe, speedy and cheap transfer of letters. Hill later served as a government postal official, and he is usually credited with originating the basic concepts of the modern postal service, including the invention of the postage stamp. Hill was born in Kidderminster in Worcestershire. His father, Thomas Wright Hill, was an innovator in education and politics, including among his friends Joseph Priestley, Tom Paine and Richard Price. At the age of 12, Rowland became a student-teacher in his father’s school. He taught astronomy, and earned extra money fixing scientific instruments. He also worked at the Assay Office in Birmingham and painted landscapes in his spare time. In 1819 he moved his father’s school “Hill Top” from central Birmingham, establishing the Hazelwood School at Edgbaston, an affluent neighborhood of Birmingham, as an “educational refraction of Priestley’s ideas.” Hazelwood was to provide a model for public education for the emerging middle classes, aiming for useful, pupil-centered education which would give sufficient knowledge, skills, and understanding to allow a student to continue self-education through a life “most useful to society and most happy to himself.” The school, which Hill designed, involved innovations including a science laboratory, a swimming pool, and forced air heating. In his Plans for the Government and Liberal Instruction of Boys in Large Numbers Drawn from Experience (1822) he argued that kindness, instead of caning, and moral influence, rather than fear, should be the predominant forces in school discipline. Science was to be a compulsory subject, and students were to be self-governing. Hazelwood gained international attention when French education leader and editor, Marc Antoine Jullien, former secretary to Robespierre, visited and wrote about the school in the June 1823 issue of his journal Revue encyclopédique. Jullien even transferred his son there. Hazelwood so impressed Jeremy Bentham that in 1827 a branch of the school was created at Bruce Castle in Tottenham in London. In 1833, the original Hazelwood School closed and its educational system was continued at the new Bruce Castle School where Hill was head master from 1827 until 1839. The colonization of South Australia was a project of Edward Gibbon Wakefield, who believed that many of the social problems in Britain were caused by overcrowding and overpopulation. In 1832 Rowland Hill published a tract called “Home Colonies: Sketch of a Plan For the Gradual Extinction of Pauperism, and For The Diminution of Crime, Based on a Dutch Model.” Hill then served from 1833 until 1839 as secretary of the South Australian Colonization Commission, which worked successfully to establish a settlement without convicts at what is today Adelaide. The political economist, Robert Torrens, was chairman of the Commission. Under the South Australia Act 1834, the colony was to embody the ideals and best qualities of British society, shaped by religious freedom and a commitment to social progress and civil liberties. Rowland Hill’s sister Caroline Clark, husband Francis and their large family migrated to South Australia in 1850. 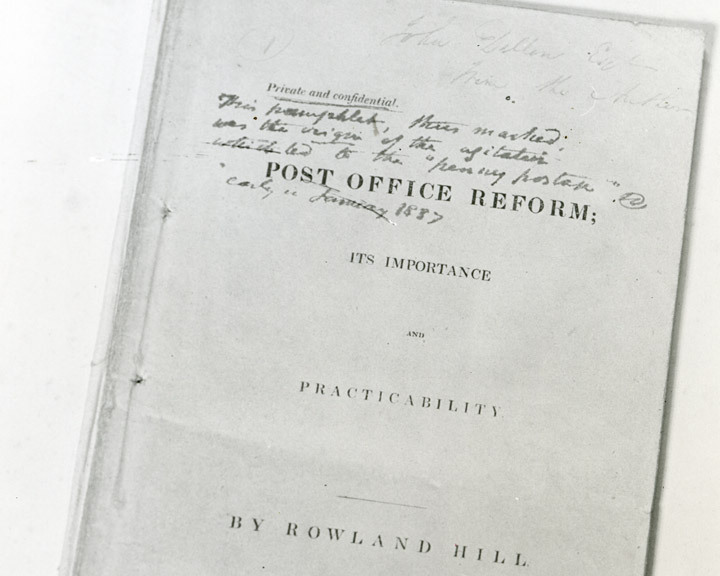 Hill first started to take a serious interest in postal reforms in 1835. In 1836 Robert Wallace, MP, provided Hill with numerous books and documents, which Hill described as a “half hundred weight of material.” Hill commenced a detailed study of these documents and this led him to the publication, in early 1837, of a pamphlet called “Post Office Reform its Importance and Practicability.” He submitted a copy of this to the Chancellor of the Exchequer, Thomas Spring-Rice, on 4 January 1837. This first edition was marked “private and confidential” and was not released to the general public. The Chancellor summoned Hill to a meeting in which the Chancellor suggested improvements, asked for reconsiderations and requested a supplement which Hill duly produced and supplied on 28 January 1837. In the 1830s at least 12½% of all British mail was conveyed under the personal frank of peers, dignitaries and members of parliament, while censorship and political espionage were conducted by postal officials. Fundamentally, the postal system was mismanaged, wasteful, expensive, and slow. It had become inadequate for the needs of an expanding commercial and industrial nation. There is a well-known story, probably apocryphal, about how Hill gained an interest in reforming the postal system; he apparently noticed a young woman too poor to redeem a letter sent to her by her fiancé. At that time, letters were normally paid for by the recipient, not the sender. The recipient could simply refuse delivery. Frauds were commonplace; for example, coded information could appear on the cover of the letter; the recipient would examine the cover to gain the information, and then refuse delivery to avoid payment. Each individual letter had to be logged. In addition, postal rates were complex, depending on the distance and the number of sheets in the letter. Richard Cobden and John Ramsey McCulloch, both advocates of free trade, attacked the policies of privilege and protection of the Tory government. McCulloch, in 1833, advanced the view that “nothing contributes more to facilitate commerce than the safe, speedy and cheap conveyance of letters.” Hill’s pamphlet, was privately circulated in 1837. The report called for “low and uniform rates” according to weight, rather than distance. Hill’s study showed that most of the costs in the postal system were not for transport, but rather for laborious handling procedures at the origins and the destinations. Costs could be reduced dramatically if postage were prepaid by the sender, the prepayment to be proven by the use of prepaid letter sheets or adhesive stamps (adhesive stamps had long been used to show payment of taxes, on documents for example). Letter sheets were to be used because envelopes were not yet common; they were not yet mass-produced, and in an era when postage was calculated partly on the basis of the number of sheets of paper used, the same sheet of paper would be folded and serve for both the message and the address. In addition, Hill proposed to lower the postage rate to a penny per half ounce, without regard to distance. He first presented his proposal to the Government in 1837. In the House of Lords the Postmaster, Lord Lichfield, denounced Hill’s “wild and visionary schemes.” William Leader Maberly, Secretary to the Post Office, denounced Hill’s study: “This plan appears to be a preposterous one, utterly unsupported by facts and resting entirely on assumption.” But merchants, traders and bankers viewed the existing system as corrupt and a restraint of trade. They formed a committee to advocate for Hill’s plan and pushed for its adoption. In 1839 Hill was given a two-year contract to run the new system. The Uniform Fourpenny Post rate was introduced that set the letter rate to fourpence from 5 December 1839, then lowered it to a penny rate on 10 January 1840, even before stamps or letter sheets could be printed. The volume of paid internal correspondence increased dramatically, by 120%, between November 1839 and February 1840. This initial increase resulted from the elimination of free franking privileges and fraud. 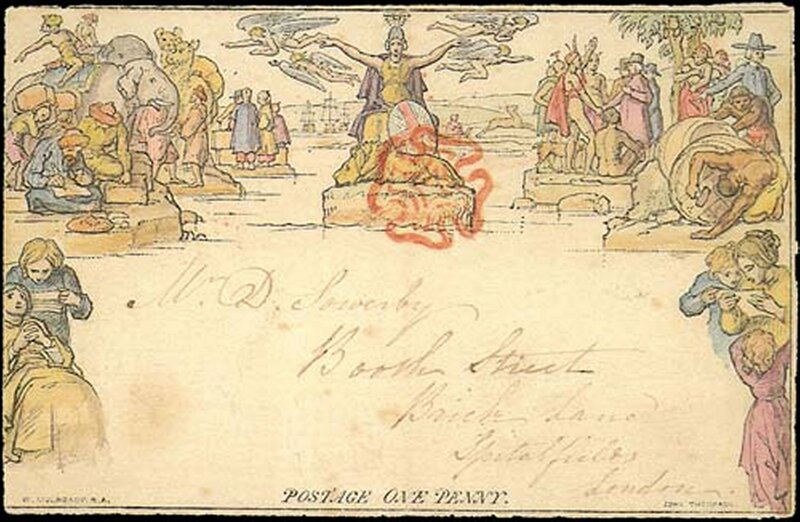 Prepaid letter sheets, with a design by William Mulready, were distributed in early 1840. 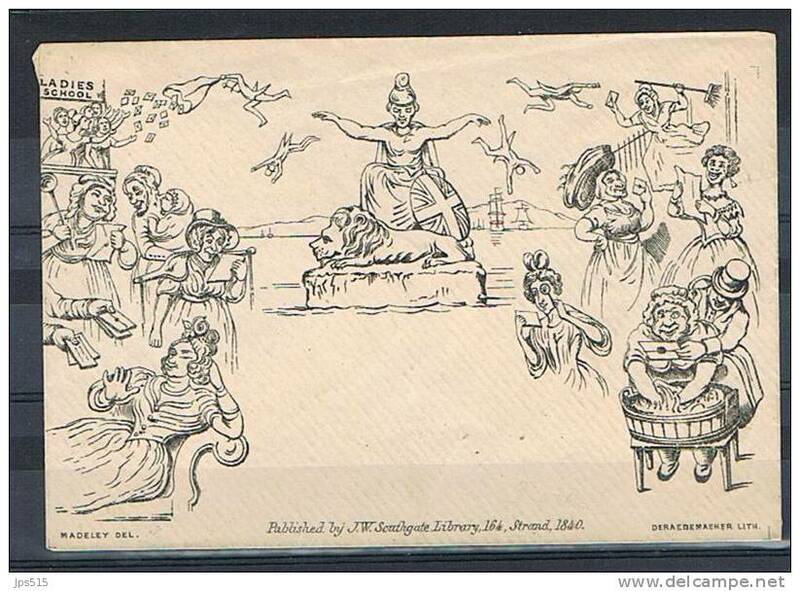 These Mulready envelopes were not popular and were widely satirized. According to a brochure distributed by the National Postal Museum (now the British Postal Museum & Archive), the Mulready envelopes threatened the livelihoods of stationery manufacturers, who encouraged the satires. However, as a niche commercial publishing industry for machine-printed illustrated envelopes subsequently developed in Britain and elsewhere. It is appropriate to recognize the Mulready envelope as a significant innovation in its own right. Letter sheets and pre-paid printed envelopes are the backbone of the direct mail industry. Anyone my age from Britain and the Commonwealth will recall the pale blue airmail letter sheets that were a cheap and efficient way of communicating with people overseas. In May 1840 the World’s first adhesive postage stamps were distributed. 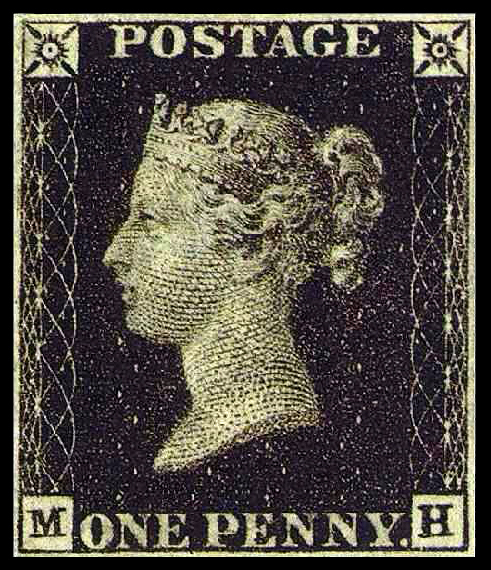 With an elegant engraving of the young Queen Victoria, the Penny Black was an instant success. Refinements, such as perforations to ease the separating of the stamps, were instituted with later issues. Rowland Hill continued at the Post Office until the Conservative Party won the 1841 General Election. Sir Robert Peel returned to office on 30 August 1841 and served until 29 June 1846. Amid rancorous controversy, Hill was dismissed in July 1842. However, the London and Brighton Railway named him a director and later chairman of the board, from 1843 to 1846. He lowered the fares from London to Brighton, expanded the routes, offered special excursion trains, and made the commute comfortable for passengers. In 1844 Edwin Chadwick, Rowland Hill, John Stuart Mill, Lyon Playfair, Dr. Neill Arnott, and other friends formed a society called “Friends in Council,” which met at each other’s houses to discuss questions of political economy. Hill also became a member of the influential Political Economy Club, founded by David Ricardo and other classical economists, but now including many powerful businessmen and political figures. In 1846 the Conservative party split over the repeal of the Corn Laws and was replaced by a Whig government led by Lord Russell. Hill was made Secretary to the Postmaster General, and then Secretary to the Post Office from 1854 until 1864. For his services Hill was knighted as a Knight Commander of the Order of the Bath in 1860. He was made a Fellow of the Royal Society and awarded an honorary degree from Oxford University. Hill died in Hampstead in London in 1879. He is buried in Westminster Abbey; there is a memorial to him on his family grave in Highgate Cemetery. There are streets named after him in Hampstead (off Haverstock Hill, down the side of The Royal Free Hospital), and Tottenham (off White Hart Lane). A Royal Society of Arts blue plaque, unveiled in 1893, commemorates Hill at the Royal Free Hospital in Hampstead. From a very young age I have been a stamp collector. I inherited a small collection from my mother which I expanded for several years in a stamp album I got for Christmas one year. When I was about 12 I tired of my world collection and decided to specialize in Australian stamps (I was living in South Australia at the time). I bought catalogs and visited exhibits and stamp shops in Adelaide, building my collection as my pocket money allowed. I produced my own first day covers as every new stamp was issued, and bought specialized albums to hold them. My interest waxes and wanes these days. The internet, and especially eBay, makes new purchases easy, so once in a while I get the bug and have a little flurry of activity. The thing I like about stamps and first flight covers and whatnot is that they are actual nuggets of history you can hold in your hand. A first flight cover was actually in, say, Kingsford Smith’s plane as he made the first airmail run from Australia to New Zealand – and now I can hold it in my hands. I am going to be a bit sneaky about a recipe for today. 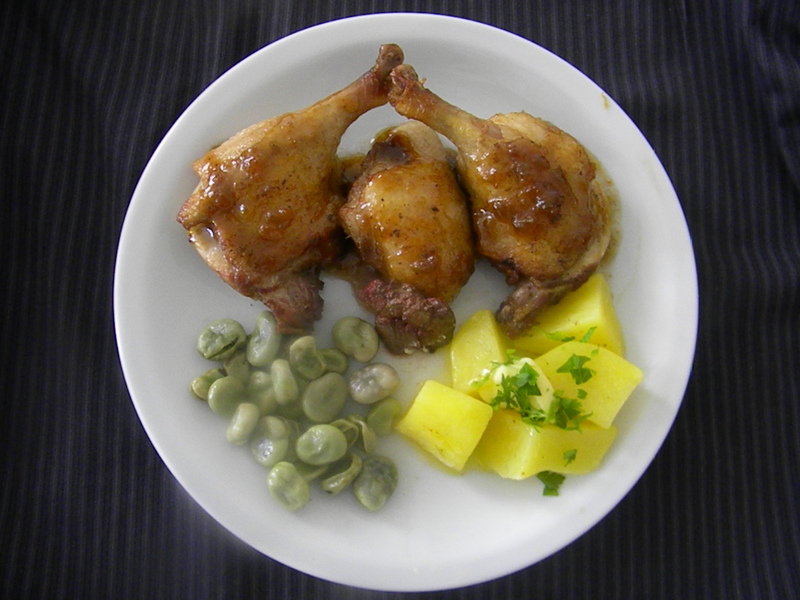 Certainly I could give you yet another Victorian recipe from Beeton, or the like. But let’s be a little more creative. A postage stamp is not just a tangible object, it is also a metaphor for something tiny. So let me talk about my postage stamp kitchen. 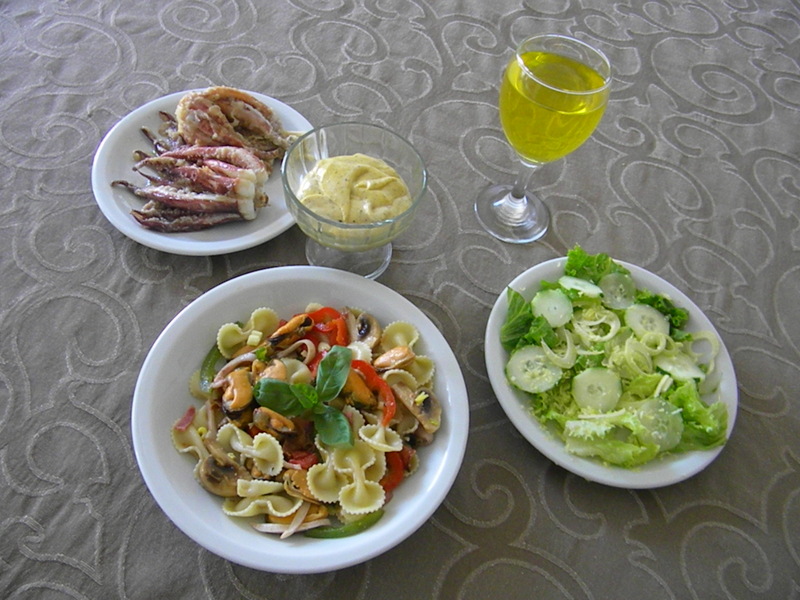 When I lived in New York I had a fully equipped kitchen – gas stove with four burners, stovetop grill, broiler, and oven, a convection oven, and microwave. My equipment ranged from the everyday to the exotic. Naturally I had a complete set of chef’s knives, stainless steel pans, and two cast iron skillets that were my workhorses. But I also had 3 woks, 4 ice cream makers (all the way from a bucket using ice and salt to a fully automated electric model), cookie cutters of every imaginable shape, a genuine Victorian pudding mould, even a special rectangular pan for making Japanese sushi omelets, a tortilla press, and a Mongolian fire pot. In the garden I had a smoker and grill that could hold a small pig and a fire pit with a spit for larger roasts. 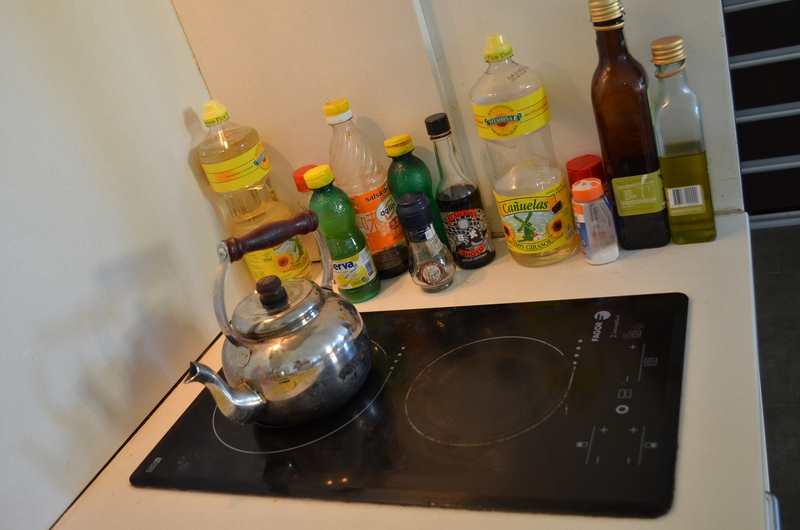 Now, in a rented studio apartment in Buenos Aires, I have a postage stamp kitchen. My batterie de cuisine consists of a two-burner electric stove, a microwave, two saucepans and a frying pan, a knife that can just about cut butter on a warm day, a ladle, a spatula, and sundry knives, spoons, and forks. The fact is, though, that despite certain limitations, I can turn out wonderful feasts using this equipment. It all just takes some planning. 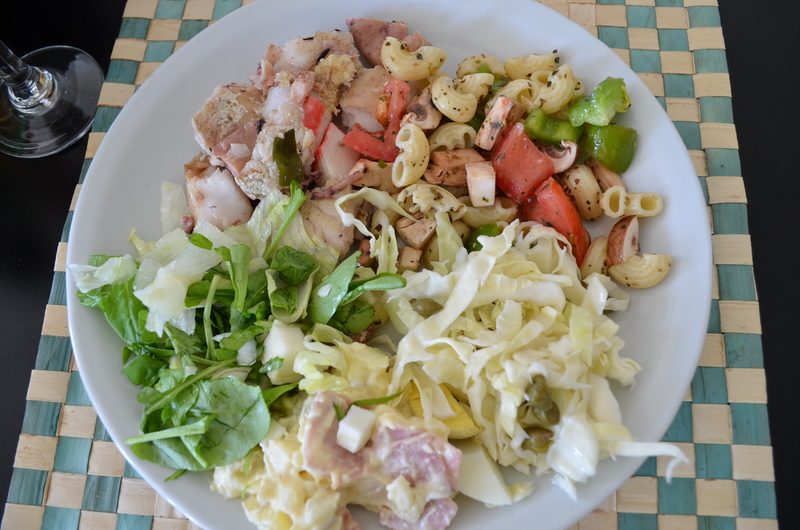 Making a feast of salads is a no-brainer, obviously. 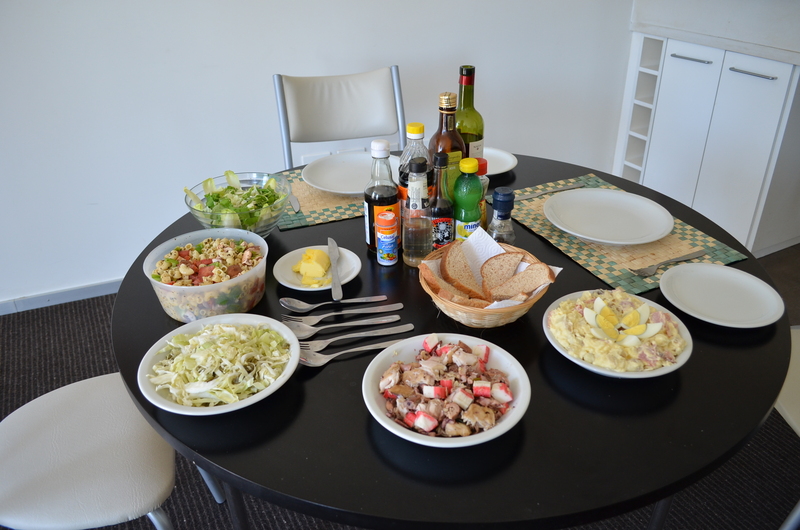 Here is a photo of my fiesta de seis ensaladas I made for my friend, Rodrigo a couple of weeks ago – mixed greens, German potato salad, fish and shellfish, pasta primavera, and shredded white cabbage with lemon juice and capers, with fresh peaches and strawberries over banana cream for dessert. Nothing to it – all prepared the day before. Therein lies the general secret: pre-cook EVERYTHING. 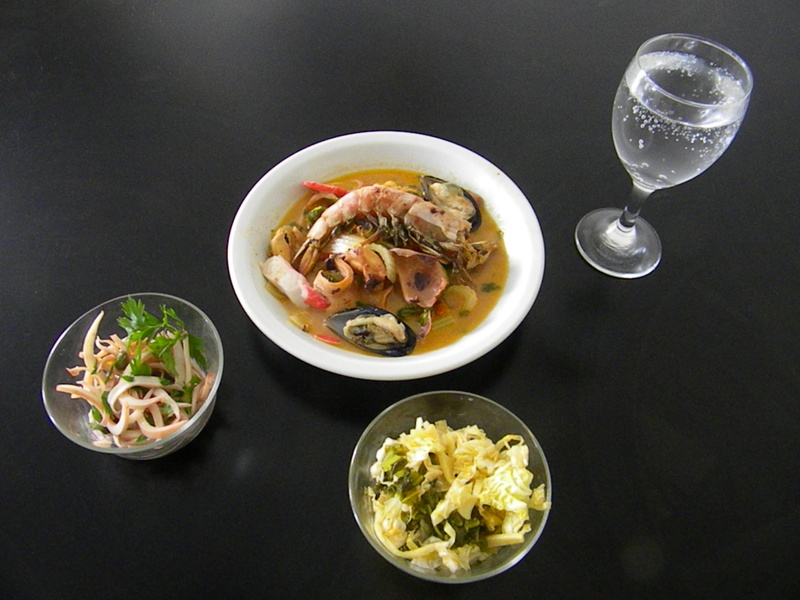 For hearty soups and stews cooking the day before is best anyway because the flavors have a chance to marry and mature. 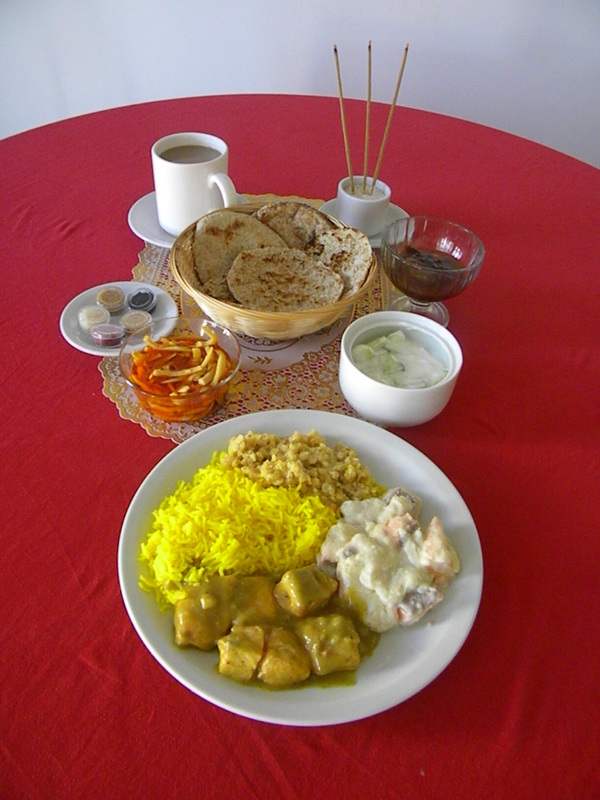 You just need a lot of refrigerator containers, and the microwave and the stovetop get a good workout on the day of the feast. Here’s a gallery from my feasts last Christmas. You have to agree that I did not go hungry. And, yes, I spent the season alone and scoffed the lot myself (I’m into solitude these days). My point is that my postage stamp kitchen does not hold me back. 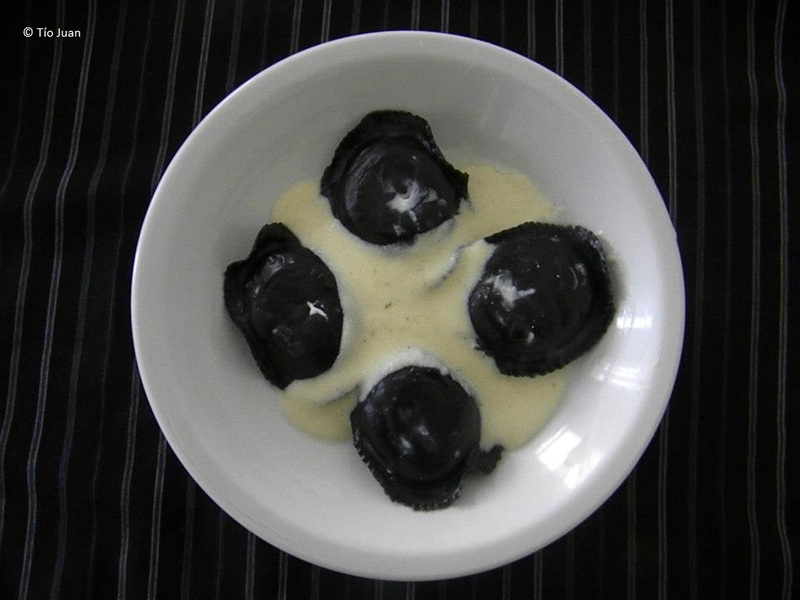 Creative cooking comes from the heart and mind, not from fancy equipment.